In the widget of the latest version of WhatsApp, iPhone users can view latest status updates in ‘Today View’. The app has also been updated to continue playback of audio messages when one exits the app. 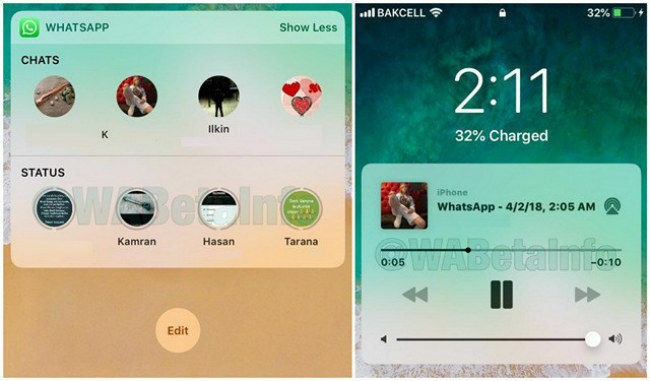 WhatsApp now comes with a new feature for iPhone users, which allows them to view recent status updates in the WhatsApp widget in their phone’s ‘Today View’. The app has also been updated to support audio message playback outside the chat window and users can now continue listening to voice messages even when they switch to another app or turn off their screen. A notification is displayed on the phone’s lock screen, reminding them that an audio message is being played in the background. First noted by WABetaInfo, the new features are currently available for version 2.18.40 of the app, which is supported on devices running on iOS 7.0 and above. As per the report, the app will soon be updated with a slew of new features for iOS like group video call improvements, translations for Stickers and more. However, these options are said to be not available for the app currently and will be enabled remotely. 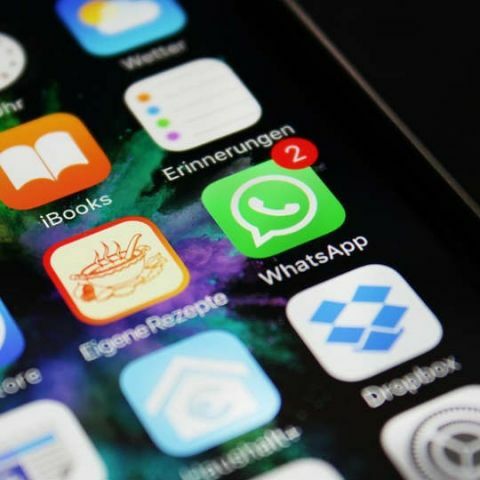 WhatsApp recently enabled a new UPI based payment feature for its users, allowing one to pay anyone who is using the app and has set up the feature. The beta version of the app on Android has also been updated with the option for paying others by scanning QR codes and this option is useful in case you don’t have or want to save someone’s phone number in order to make payments. This new feature by the social messaging app is seen as a move to retain more user time and rivals services offered by Paytm, BHIM and Google Tez. Google’s UPI-based Tez payments app was also recently updated with new bill and utilities payment option. Users can now pay for DTH, mobile and other utilities like gas, water, electricity, and more via the app. It now includes utilities payments for providers like BSES, Reliance Energy, and DishTV, and will apparently cover all major metros and states and in India. It will also send notifications, reminding users when their bills are due and users will be able to check whether they have paid a bill by simply tapping the biller’s name, within the Tez app. You can learn more about the new feature and how to use it here.